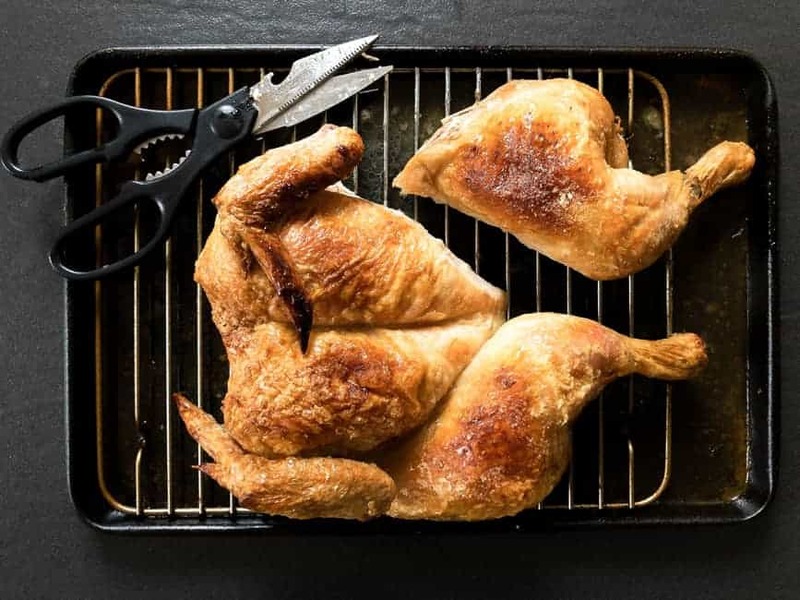 A fantastic and straightforward method for making the juiciest, crispiest and all round best-roasted chicken you've ever had. Preheat the oven to 230 C (446 F). Spatchcock (butterfly) the chicken. It’s not difficult, it means removing the backbone and opening the chicken. 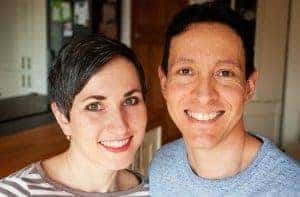 If you are not sure how to do it, here is a helpful video from BBC Good Food. Rub the oil around the whole chicken. Generously sprinkle both sides of the chicken with salt. Place the chicken on the wire rack with a tray underneath. This way the air can circulate around the chicken and you can catch all the nice juices into the tray. Fill the bottom of the tray with water to protect the juices from burning. Leave the chicken to rest for 10 minutes before cutting. Best serve with mash potatoes, rice or bread. Note: If you don’t use the juices you collected in the tray with your meal, save them to flavour another recipe next time. It’s safe in the fridge for 3 – 4 days. Before we discovered this method, we used to roast our chicken whole without opening it and on much lower temperature. But now spatchcocking the chicken and roasting it on a high temperature is our prefered choice. I think it’s a far best way how to roast or grill a chicken. Removing the bird’s spine and opening the chicken helps the meat to cook more evenly without drying out the breasts. It also exposes all the skin to the heat so it crisps up all around just perfectly. Furthermore, it significantly shortens the cooking time. This roasting method requires to preheat the oven to 230 C. I was surprised that the chicken is not dry even though the oven temperature is very high. The meat is soft and juicy and the most of the skin is crispy. What is the safe internal temperature for roasted chicken? 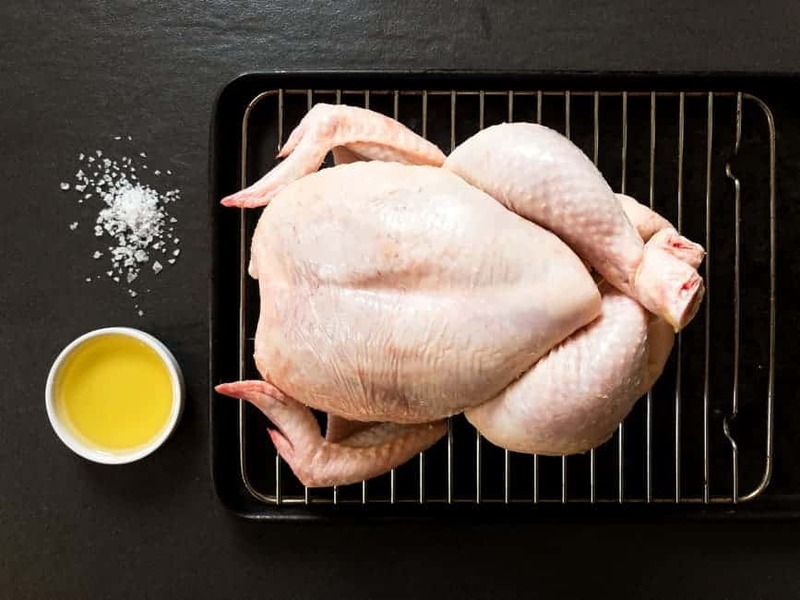 The safe internal temperature of a cooked chicken is 75 C. When roasting butterflied chicken on a high heat you can reach this internal temperature in about 45 minutes. The meat is usually cooked and safe to eat but it doesn’t fall away from the bone easily and I found out it can still be a little bit tough. We want meat that peels of the bone without any force and it’s very soft. This is why I always leave the chicken in the oven 10 minutes longer than recommended 45 minutes for this method. How long you should cook your chicken for depends on two things. The size of the bird and how soft you want the meat to be. 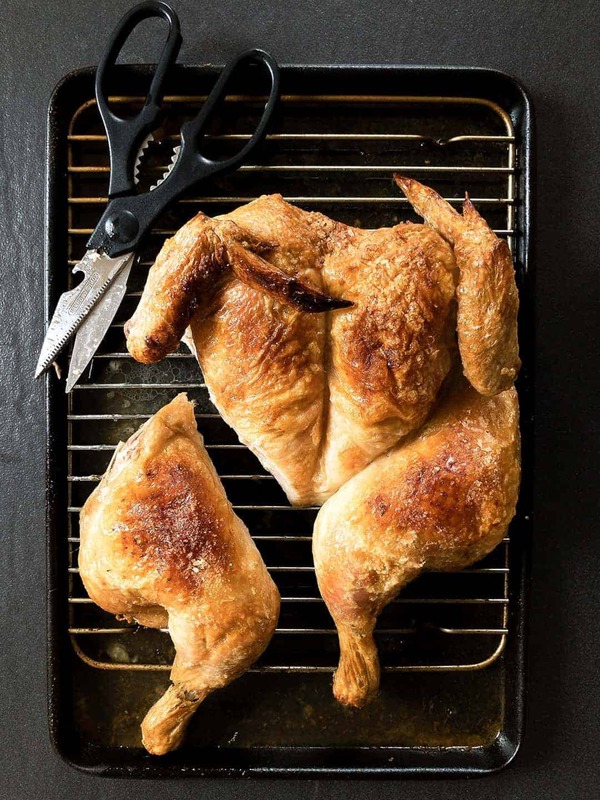 Our ideal time for roasting a large chicken is 55 minutes on 230 C.
We never finish the whole chicken in one go. The cooked chicken will last 3 – 4 days in the fridge and you can keep all chicken juices too. Our favourite leftover chicken recipe is coming soon. 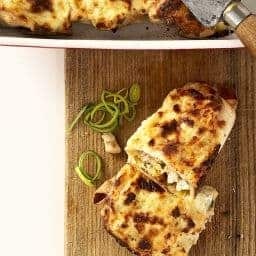 This is a great quick recipe, thank you for sharing it with us.